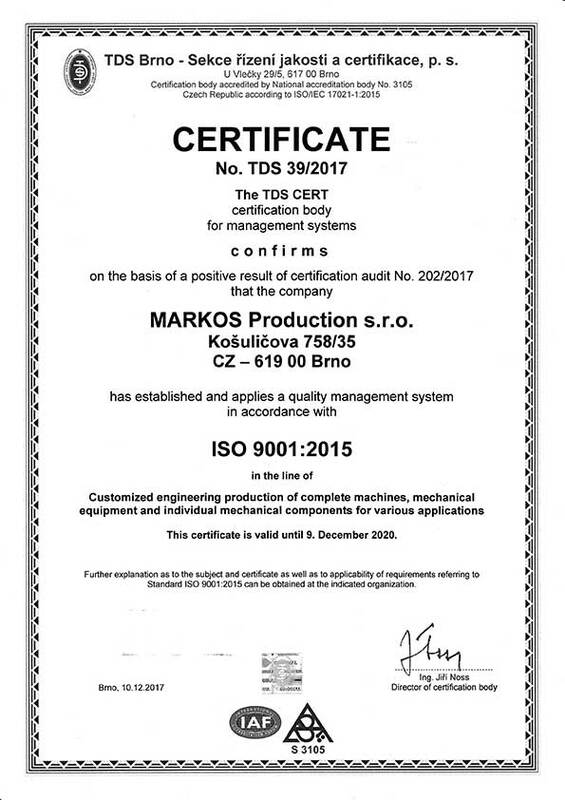 MARKOS Production is a limited liability company operating in the field of production – engineering – consultancy with specialization in customized engineering production of complete machines, mechanical equipment and individual mechanical components for various applications. MARKOS Production started as a trading company but in 2007 expanded to include its own production facility that now encompasses 250 m2 of production area and 350 m2 of assembly and storage area, operated by 20 employees. Today, the Company provides production for businesses in various fields, such as production of food-processing appliances, pharmaceutical equipment, medical devices, vacuum technology, cutting and pressing tools as well as single-purpose machines and equipment. The greater part of our production is exported abroad, specifically to the EU countries. Majority of our clients come from Denmark, Germany, Austria, France and Ireland. Our Company was founded with the aim to use the extensive potential of Czech and Slovak businesses, their expertise, experience and tradition in mechanical engineering and thus to provide our clients with the possibility to reduce production costs by transferring the production to our Company, while maintaining the high quality and reliability of deliveries. Our experience shows that the primary task required by our clients is to optimize costs and to achieve savings in production. Your reliable partner for mechanical components, complete machines and equipment deliveries. 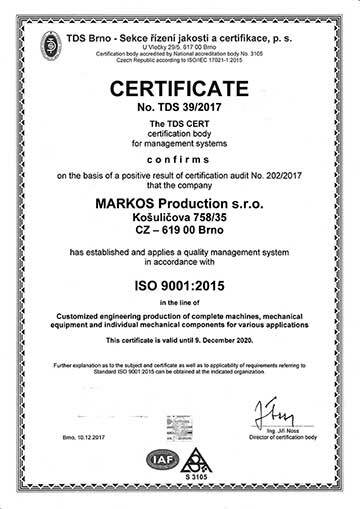 Copyright © 2019 MARKOS Production Ltd. - Your reliable partner for mechanical components, complete machines and equipment deliveries.